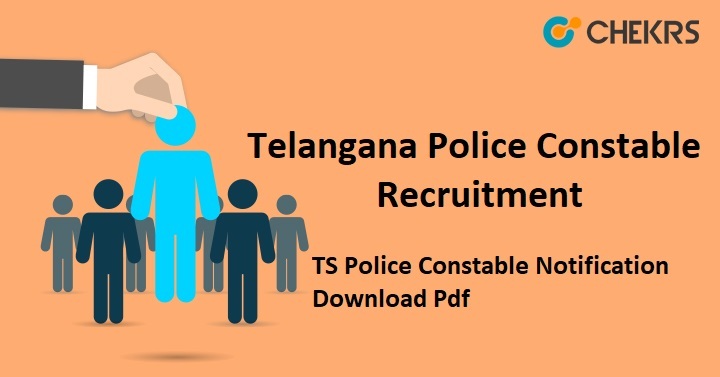 Telangana Police Constable Recruitment 2019: Telangana State Level Police Recruitment Board (TSLPRB) has recently published the advertisement for Telangana Police Constable Notification 2019. The TSLPRB is going to conduct the selection test under the authority of Government of Telangana. Candidates who are interested to apply for this vacancy applications before the last date. Applicants should apply as soon as possible. Check our full report on Telangana Police Constable Recruitment 2019 to get detailed information. Latest Update: The Telangana State Level Police Recruitment Board (TSLPRB) was going to announce the Telangana Police Constable Recruitment 2019 to visit the below details. The Telangana State Level Police Recruitment Board has released the Sub Inspector Recruitment 2019 notification to fill vacant Posts. First of all, applicants are advised to do New Registration. Then sign in with unique id and password which were generated during registration. The next thing is Selection of Eligible Post(s) you want to apply for. Enter your education qualification, reserve categories details. Enter your Photo Identity Details. Now upload the required documents/ certificates about education and reserve category. Cross verify the details and submit the form. Remarks: – Candidates having the query regarding the Telangana Police Constable Recruitment 2019, kindly ask in the comment section below. We will solve it as soon as possible. Do subscribe to our portal for further updates.